Over the past few years (2016-2017), CSTPR has developed four common themes and priority areas for research, education and service. These are (1) Science and Technology Policy, (2) Innovations in Governance and Sustainability, (3) Drivers of Risk Management Decisions, and (4) Communication and Societal Change. CSTPR put a call out for proposals that solicit funding and that will further develop our four themes in the upcoming 2018 calendar year. The winning proposals will support CSTPR-related efforts as they provide initial support for further development of the projects. These will then help carry out our CSTPR mission and vision. The Center for Science and Technology Policy Research (CSTPR) within the Cooperative Institute for Research in Environmental Sciences (CIRES) at CU-Boulder is offering a $1500 award to an eligible CU-Boulder student. This award is named in honor of Rad Byerly, who earned a B.A. and M.A. in physics at Williams College, and a Ph.D. in physics at Rice University. After several years in laboratory research as a postdoctoral fellow at the Joint Institute for Laboratory Astrophysics (JILA), at CU-Boulder, Rad moved to Washington, D.C., for a long career in science policy. He served more than twenty years as staff on the Science Committee of the U.S. House of Representatives, ultimately as staff director to Chairman George E. Brown (D-CA) who believed, as did Rad, that government-funded scientific research had a duty to serve society and its citizens as well as to expand knowledge of the natural world. 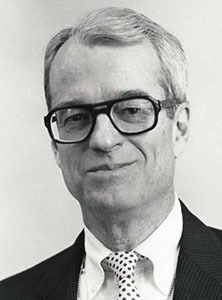 In the late 1980s Rad also directed the Center for Space and Geosciences Policy at CU-Boulder, and at the end of his career, delighted in mentoring and working with graduate students at CSTPR/CIRES as they grappled with problems of science, politics, and public policy. Applicants must be full-time, CU-Boulder campus, degree-seeking graduate students in good standing in any academic department. A commitment to making a significant contribution to science and technology policy through a career in academia; state, local, or federal government service; the private sector; voluntary organizations; journalism and the media; or some other form of public service that advances the role of science and technology in service to society. Demonstrated potential for such contributions through publications, community outreach and organization, or paid and/or voluntary employment either on or off campus. Applicants shall submit a two-page statement describing how they meet the criteria for the award; an unofficial academic transcript; CV; and one letter of recommendation by midnight December 4, 2017 to ami.nacu-schmidt@colorado.edu. The award will be distributed January 2018. The award recipient is expected to make one presentation in CSTPR’s noontime seminar series on a topic of his/her choice and write one article for the CSTPR blog, Prometheus in Fall 2018. This internship program will place 1-2 PhD and/or Master’s degree students in an IFRC regional field office, a National Society branch office, or with a partner organization for a period of approximately 3 months. The RCRCCC supervisors will liaise with specific IFRC field offices to identify potential projects and placements. Once projects are identified, RCRCCC supervisors will work with CU Boulder Director Max Boykoff, CU Boulder Graduate Coordinator Katie Chambers and the student to design a scope of work. Projects can encompass, but are not limited to, topics such as the use of scientific information in decision making, communication of probability and uncertainty, perceptions of risk, and characterizing vulnerability and adaptive capacity. Placements in the field will address specific needs identified by IFRC field staff related to challenges of science communication and adaptation decision-making. Participants will be required to write six blog posts from the field during this placement, give some presentations (e.g. in ENVS, in the CSTPR brownbag series) upon return, and complete a report at the conclusion of their internship detailing their experience and research outcomes. $5,000 funding in total will be provided to offset expenses (in-country housing, food, airfare and in-country transportation). Expenses can vary widely depending on the location and nature of the placement. Interns will work with CU-affiliated travel agents to arrange round-trip airfare to their field site. Due to this $5,000 limit, applicants are encouraged to seek additional funds from alternate sources, as expenses can exceed this budgeted amount. Criteria: Successful candidates will have a demonstrated interest in the Southern and/or East African regions, as well as demonstrated interest in one or both topic areas (environmental communication and adaptation decision-making), as evidenced by any of these elements: courses completed/underway, past work, volunteer and/or research experience, MS/PhD thesis direction. Successful candidates must be self-starters and capable of adapting to independent working conditions. Students must have the consent of their graduate advisor to participate. A detailed terms of reference tailored to each intern will be developed by the RCRCCC based upon their needs and the intern’s skills in the months leading up to placement in the field. For more information or to apply see the Red Cross Red Crescent Climate Centre website. Cassandra Brooks (CSTPR Faculty Affiliate) is an Assistant Professor in Environmental Studies at the University of Colorado Boulder. She draws on a diversity of disciplines including marine science, environmental policy, and science communication to study and seek solutions to pressing environmental problems. Prior to joining CU Boulder, she completed a PhD at Stanford University, studying international ocean policy. Her research helped drive the adoption of the world’s largest marine protected area in the Ross Sea, Antarctica – one of healthiest and most productive marine ecosystems left on Earth. Amanda Carrico (CSTPR Faculty Affiliate) is an Assistant Professor in Environmental Studies at the University of Colorado Boulder. Her work draws on the fields of psychology (her home discipline), sociology, demography, and economics to examine human-environment interactions. Amanda’s work falls into two primary research areas. The first is to understand the factors that motivate pro-environmental behavior among individuals and households, and how these insights can be can used to improve environmental programs and policy. The second examines adaptive responses to environmental change among households and communities engaged in agricultural livelihoods. Patrick Chandler (CSTPR Graduate Student) is a graduate student in the Environmental Studies Program at University of Colorado Boulder. He has ten years’ experience working in and developing environmental education, stewardship and science programs. His current focus is learning how the arts and emotional engagement can be used to raise awareness of environmental issues and promote responsible consumerism. Matthew Druckenmiller (CSTPR Visiting Researcher) is a Research Scientist at the University of Colorado Boulder’s National Snow and Ice Data Center and Research Faculty with Rutgers University’s Department of Marine and Coastal Sciences. Matthew’s work primarily focuses on understanding and communicating the societal implications of Arctic sea-ice loss. Justin Farrell (CSTPR Faculty Affiliate) is an Assistant Professor of Sociology in the Yale School of Forestry and Environmental Studies, with a secondary appointment in the Department of Sociology. He studies environment, culture, and social movements using a mixture of methods from large-scale computational text analysis, qualitative fieldwork, network science, and machine learning. Anna Kukkonen was awarded a Fulbright Graduate Grant to continue her PhD research at the University of Colorado Boulder where she aims to develop her knowledge on environmental governance, science-policy interactions and media’s role in the politics of climate change. Anna holds a Master’s degree in Sociology from University of Helsinki where she also begun her graduate studies in 2014. She has specialized in comparative and political sociology but has recently become increasingly interested in combining comparative sociology with the study of public policy. Peter Newton (CSTPR Faculty Affiliate) is an Assistant Professor in the Environmental Studies program at the University of Colorado Boulder, and an instructor for the MENV program. He is an interdisciplinary scientist who is interested in understanding how governance interventions affect synergies and trade-offs between environmental, economic, and social outcomes in socio-environmental systems. He works principally in agricultural and tropical forest landscapes, mainly in Brazil but also with partners in Indonesia, Mozambique, Nepal, and elsewhere. Much of his work focuses on sustainable food systems, land-use change, and rural livelihoods. Olivia Pearman (CSTPR Graduate Student) is a Ph.D. student in the Environmental Studies Program and is interested in improving approaches to complex environmental problems through policy. She is particularly focused on how institutions and organizations make decisions about the environment and especially how individuals’ beliefs, values, and worldviews influence the making of those decisions. Olivia holds a BS in Environment and Natural Resources from Clemson University and a Master of Environmental Management (MEM) from the Yale School of Forestry and Environmental Studies. Her Master’s Project focused on policy approaches to address conflicts between oil and gas development and greater sage-grouse conservation on lands owned by the Bureau of Land Management. Phaedra Pezzullo (CSTPR Faculty Affiliate) is an Associate Professor in Media, Communication & Information at University of Colorado Boulder. Her research focuses on the mobilization of resistance to toxic pollution, the communication of resilience in what she calls “the late age of fossil fuels,” and the advocacy of environmental and social justice. With interdisciplinary training in the humanities and the sciences, she engages ethnographic participant observation fieldwork, qualitative interviews, popular texts across media, news archives, government documents and contemporary critical theoretical perspectives.